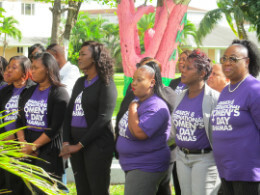 The push towards gender equality for women in The Bahamas, and indeed around the globe, is not about advancing the causes of women and girls at the expense of men and boys, Minister of Social Services and Urban Development the Hon. Frankie A. Campbell said Thursday. Minister Campbell called gender equality a human rights issue.